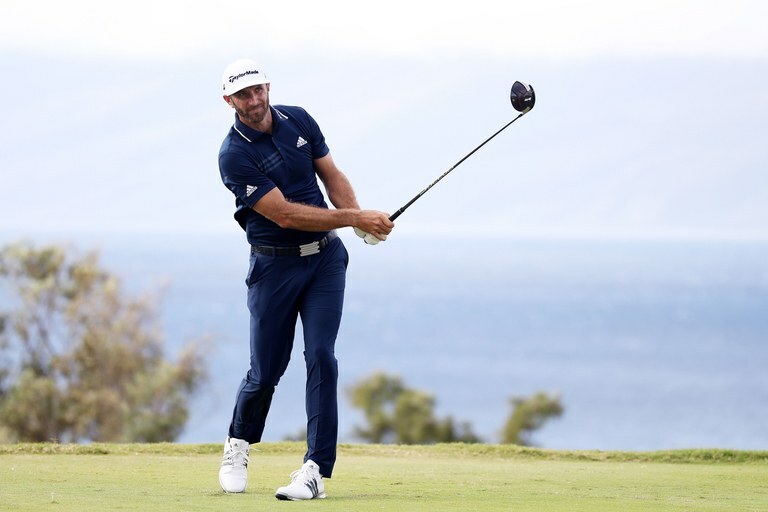 Most golfers think that the guys on the PGA Tour hit the ball incredibly long. And I suppose they hit it relatively far, but nearly the distances that the public thinks. I think the average student that I ask tells me that a tour player hits a 6 iron 220 yards. And it just isn’t true….well at least not on average. 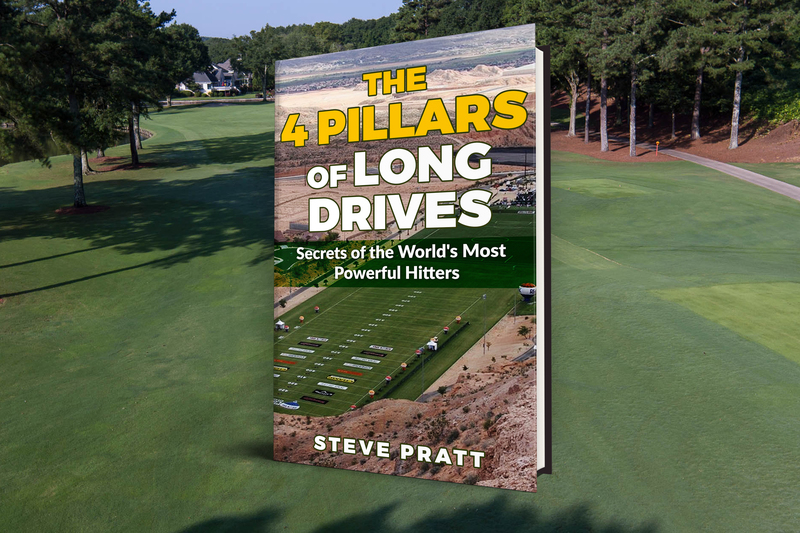 They think that a drives are always over 320, which they are not – not even close. Now this is not to say that a tour player can’t ramp it up another gear if they felt like showing off. I’m sure most of them can squeeze out 10 extra yards on every club on this chart. But mostly, when playing for the money, they don’t. Because winning money, titles, and shooting low scores doesn’t involve all that much ‘power’ hitting, especially with the irons. Instead, it’s mostly situational. If I have a front pin with a hard green, I would go at it harder with the shorter club, maybe a 150 yard pitching wedge. This is so I could hit it higher and spin it more, enabling me to access that tough pin position. The average drive on tour last year was 289 yards. 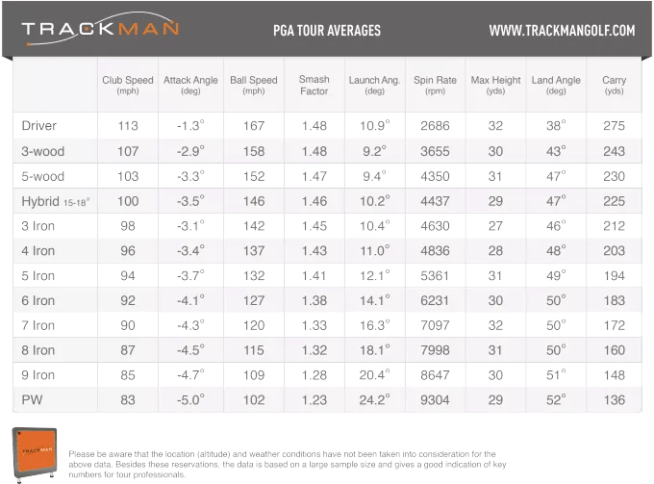 I’d estimate the average tour player will hit their basic solid drive between 295-310 under neutral conditions. But you also have to add in the slight mishits, the rainy days, and the balls that land in the rough. Official driving distance is only measured on two holes per round, which means you might get 50-60 shots in a year. A former tour pro told me he hit a tree branch off the tee that knocked his ball down, and it affected his average for the whole year by 15 yards. This put him near the bottom of the pack. I blame it on TV coverage. How many times do you see TV reporting driving distance on an uphill into the wind hole? 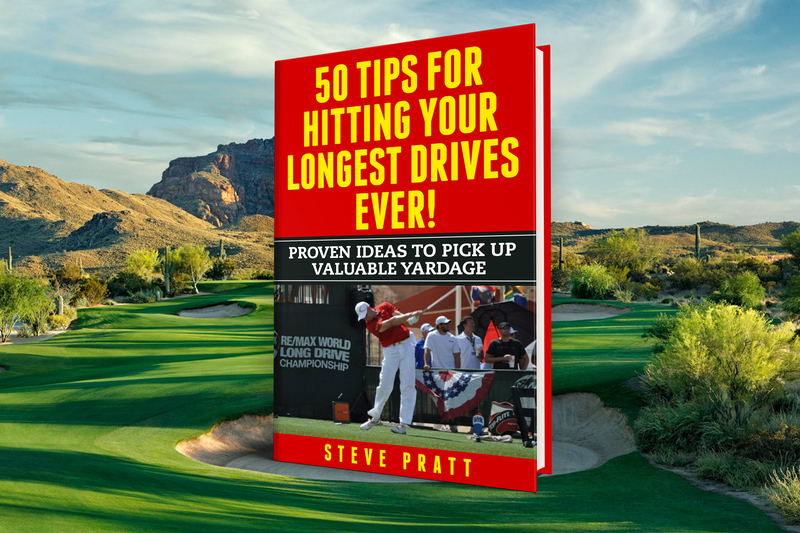 A good drive might only yield 250 – and that isn’t exciting. But then on the next hole when they come back down the hill with the wind behind them, they all go 340. So the drive went 433 yards. But he picked up 25 yards for elevation, 25 for wind, and another 45 for extra roll. That’s 95 extra yards, putting the actual distance of the drive under neutral conditions around 340-345. And this is about DJ’s average ‘big’ drive when he swings harder, at around 125 mph. Maybe 126 or 127. So next time the announcer says that someone is hitting a 5 iron from 223, keep in mind that it’s mostly conditions, and note where the ball actually carries. Previous Post Mike Austin at Hansen Dam Next Post Will You Swing a Longer Driver Faster?